No doubt that Aventura, Florida, is a nice neighborhood to live and spend time at, but it’s not immune to criminal acts that result in victim injuries and even death. Just like in any other South Florida area, it is regular target of individuals who don’t hesitate to use violence to reach their criminal goals. If you or a loved one were the victim of a criminal act in Aventura, then you would likely want to speak with the best Miami crime victim compensation attorney you can find. If you or your loved ones have been seriously injured or suffered a wrongful death in Aventura as the result of a preventable criminal act, then call the Aventura crime victim lawyers at the Wolfson Law Firm for help. Contact us at (305) 285-1115 for a free consultation and allow us the opportunity to answer your questions and provide you with your legal options. Aventura got its name from the Spanish word for “adventure”. Allegedly, one of the developers of this suburban city has been very excited about the adventure that building this city poses for them. Ever since being built during the 70’s, Aventura population is growing steadily. It grows by double digits every ten years, and now is home of more than 36,000 inhabitants. The city is also a home of the huge Aventura Mall, the fifth largest shopping mall in the United States. If you have suffered in a different criminal action, however, you could still be eligible for damages recovery. Have in mind that this is not an exhaustive list of criminal acts that could get you injured. That is just one reason you should call the Aventura crime victim Compensation lawyers at the Wolfson Law Firm in Miami. You may be able to claim damages for being injured due to a criminal attack in Aventura. This applies for victims as well as certain survivors of murder victims. The law allows for specific classes of people to pursue compensation following a wrongful death. In general, getting injured in Aventura will set you on several potential avenues for the recovery of damages. One leads through a criminal procedure. Once the assailant is convicted in court, obtaining a judgment from the criminal should be relatively easy. There are three downsides of this way of recovering. First, if the police don’t identify and catch the assailant, he or she can’t be convicted. Second, even when they take him in court, the procedure can take a while. Third and finally, most criminals never pay financial damages. If you don’t want to wait while you’re having expenses related to the injuries, you can choose to claim damages from a liable third person or company. If the crime has occurred at premises controlled by a third party such as a mall, convenience store, gas station, convenience store, apartment complex or condominium they likely owe a duty of care to guests and visitors. The law obliges them to take all the reasonable measures to prevent violent and deadly criminal attacks. If they breach this duty due to negligence, they may owe you compensation for your personal injuries sustained during a criminal attack at their premises. 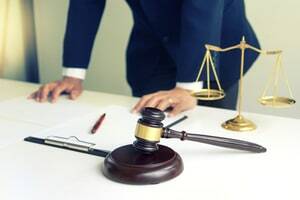 Make sure you investigate this opportunity with a Miami crime victim compensation attorney to determine if your case qualifies for damages by a third person. Finally, the last avenue to recovery includes the Florida Bureau for Victim Compensation. If your case meets the requirements set by the law, you may recover some of your economic damages caused by the criminal. Maybe it looks simple on paper, but in practice you could face many obstacles in damages recovery procedures. You understand that no one wants to voluntarily pay for someone else’s injuries and damages. Our Miami personal injury lawyers have helped injured victims since 1963 and we are here to help you too. Call us at (305) 285-1115 for a free consultation with the Aventura crime victim lawyers at the Wolfson Law Firm and take the next steps together.